Foxboro Hot Tubs play Don Hill’s and Bowery Electric – April 23 and 25, 2010 – New York finally got to see Green Day’s alter ego band, and they showed us how a punk party can rock. 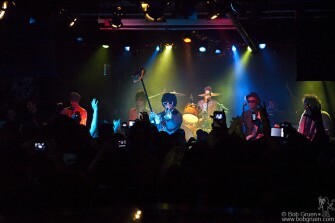 For more than two and a half hours, they played it the old school way, straight ahead full blast! And what other band could play a great version of the Who’s ‘A Quick One While He’s Away’ halfway into the encore?…..just check out the photos below. 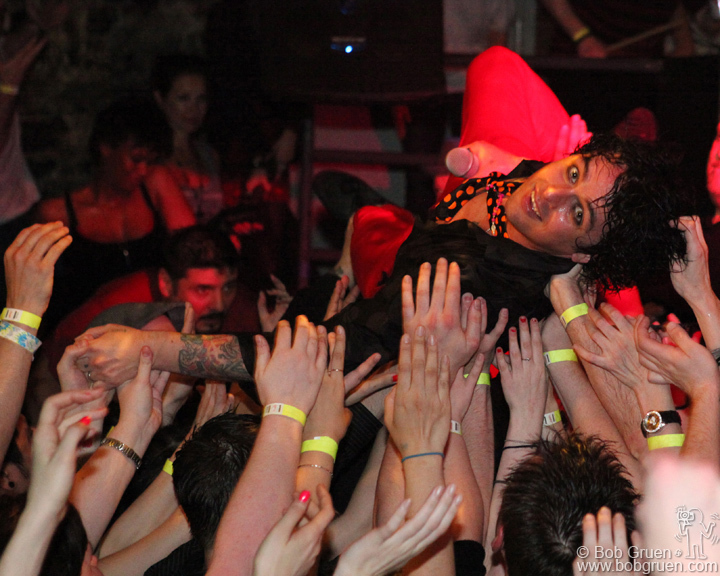 One photo as Foxboro Hot Tubs head to the Don Hill stage. 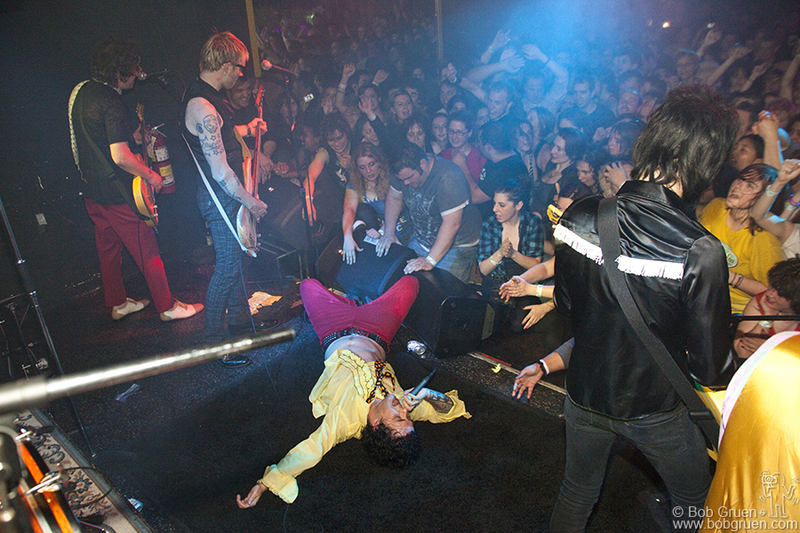 Billie Joe spent more time on the audience than on the stage. 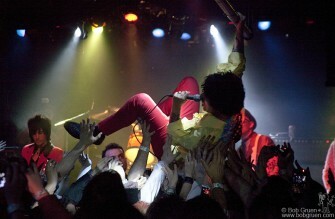 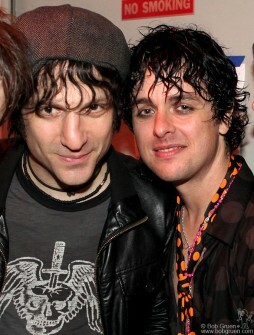 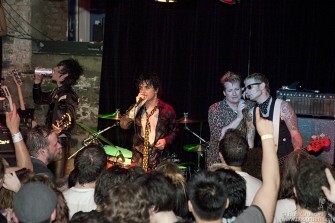 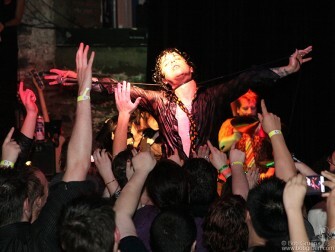 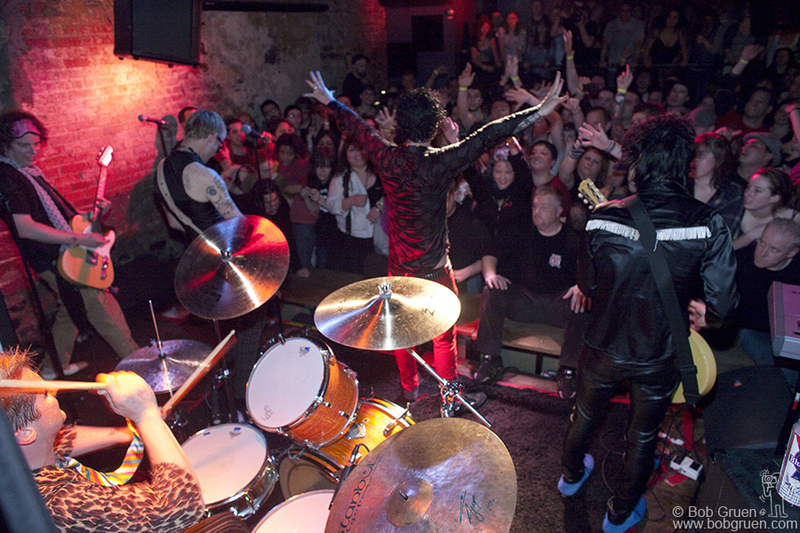 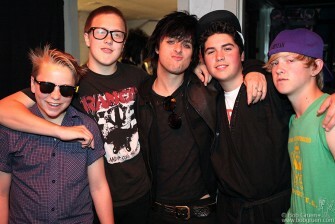 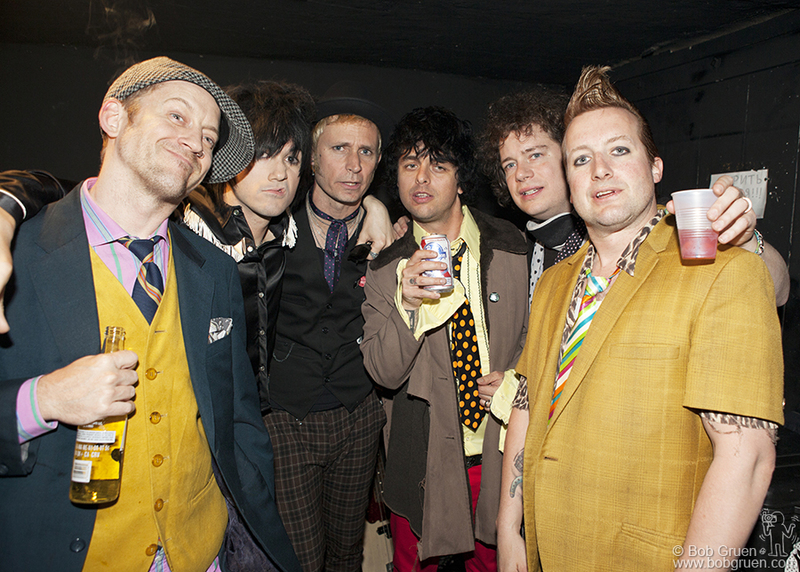 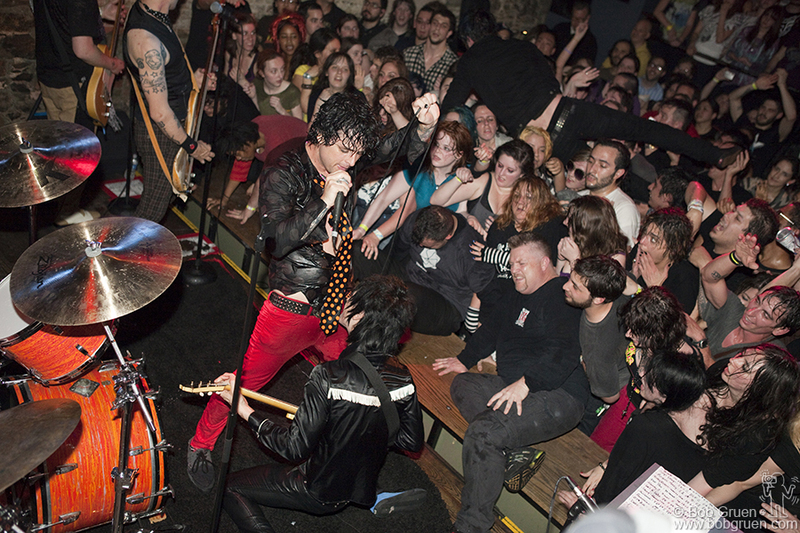 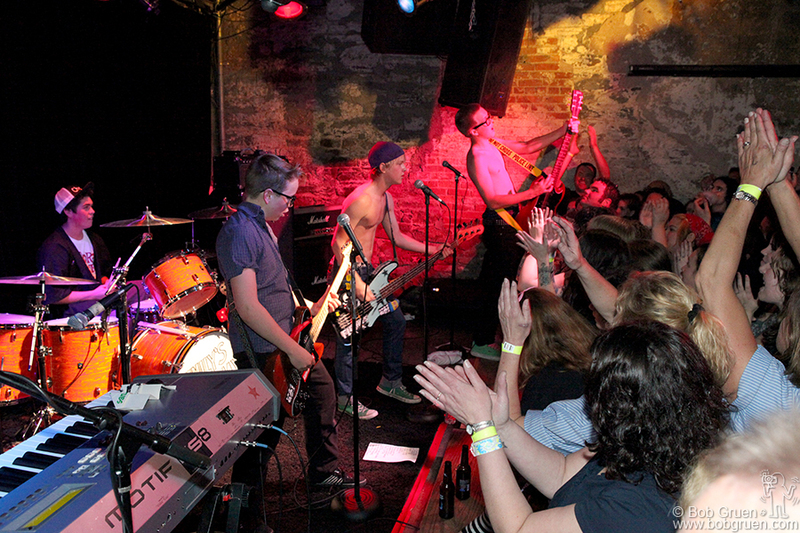 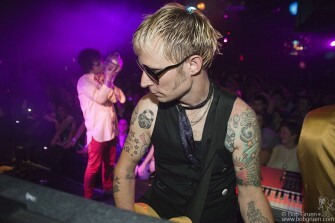 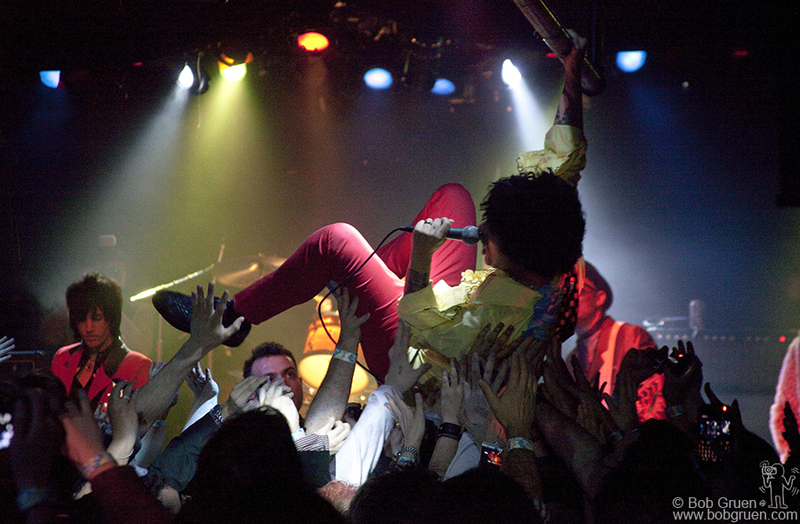 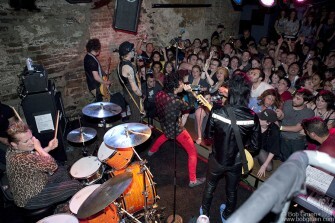 Emily’s Army, with Billie Joe’s son Joey on drums, opened the Foxboro Hot Tubs show on Sunday at the Bowery Electric. 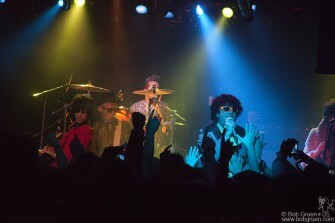 They are young but already getting good and the crowd loved them. Billie Joe takes his pet alligator to the stage. 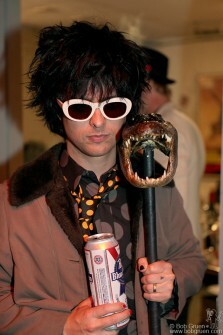 Mike Dirnt’s way of sharing his beer with his wife shocks even the unshakable Tre. 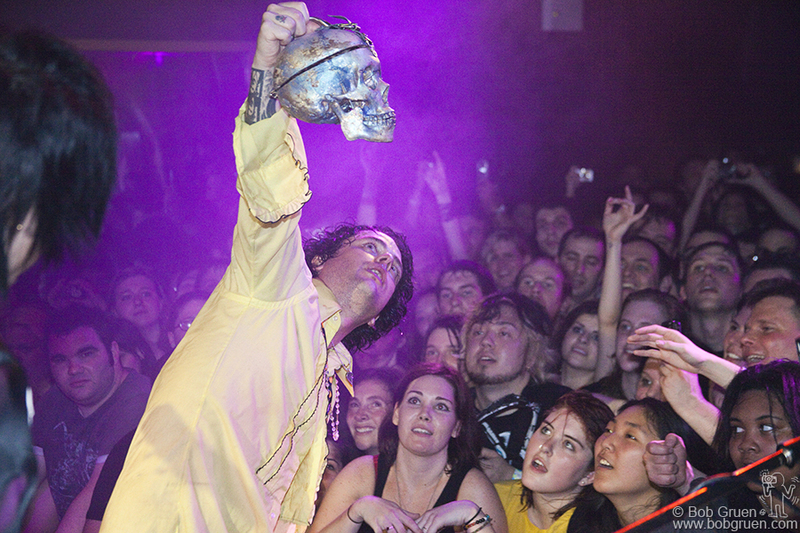 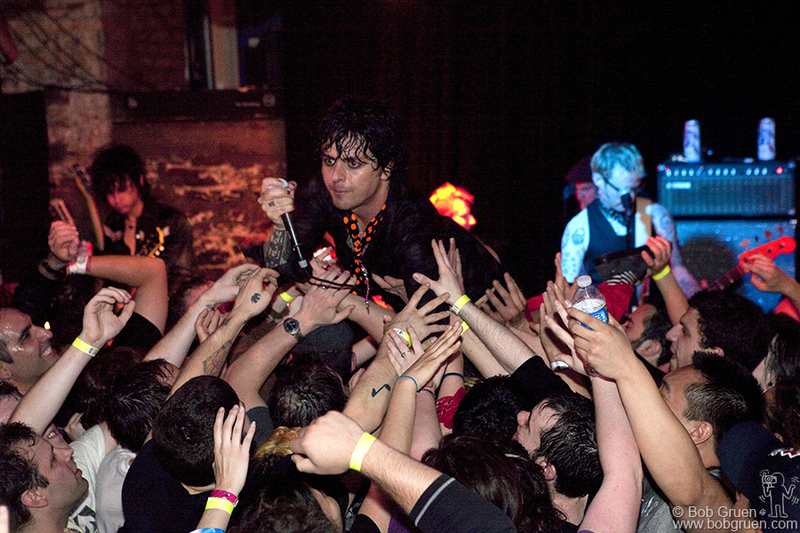 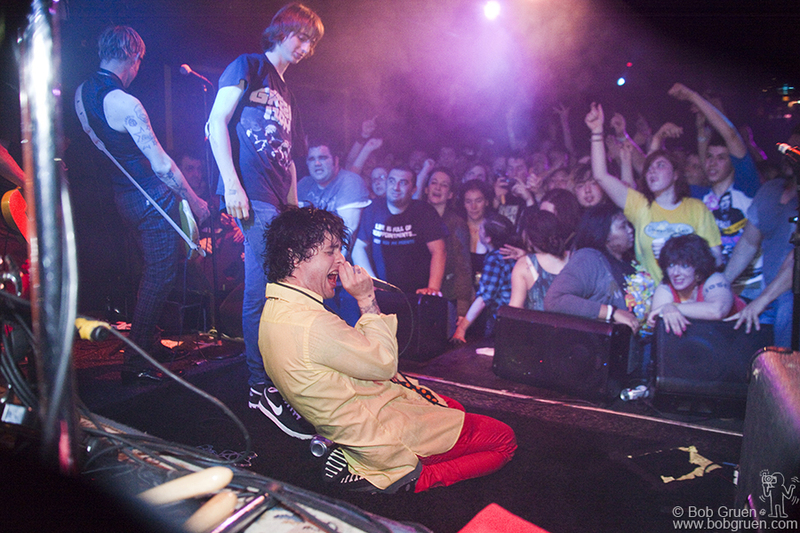 Billie Joe gets up close and personal with the fans. Billie Joe signals that the show is finally over. Backstage aftershow congrats from Jesse Malin. 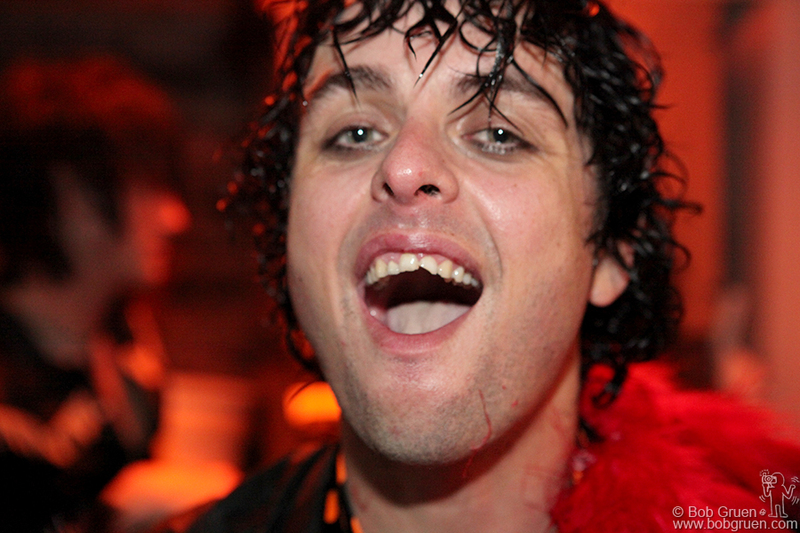 It ain’t easy bein’ a rock star, Billie Joe shows the tooth he chipped during the show. 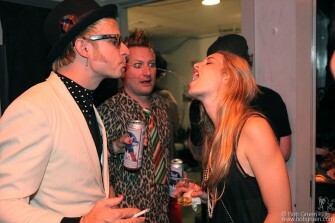 Billie Joe shares a kiss with his wife Adrienne.